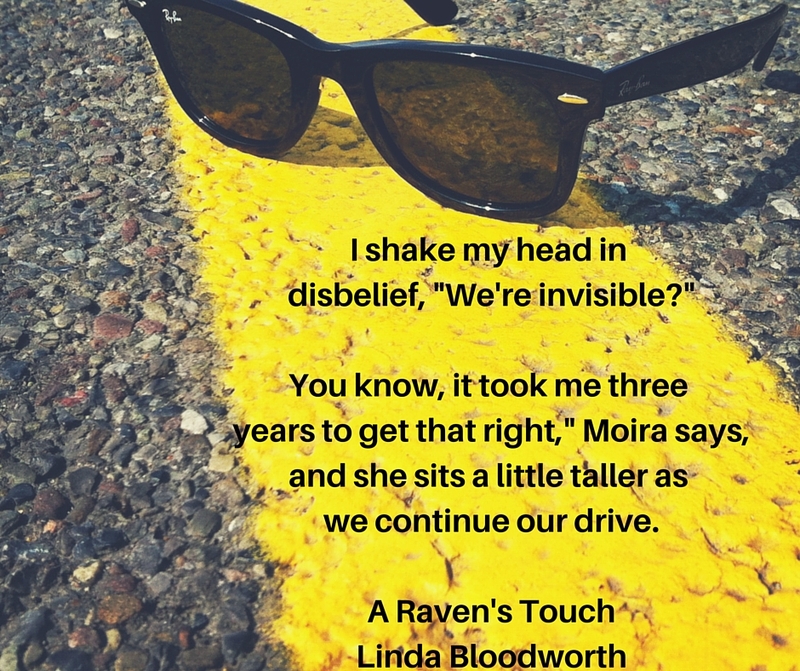 Today I am happy to tell you all about an exciting new YA Paranormal Fantasy novel, A Raven’s Touch by Linda Bloodworth. So, without further ado, please read on below for more info on the book, see a totally awesome trailer and more! Bullied through high school, seventeen-year-old Justice St. Michaels is grateful for the help of her best friend Moira O’Fhey. Their only wish is to graduate high school, leave the sleepy town of Fallingbrook and all that happened behind them. The Heavens have other plans. Between growths on her back and being involved in explosive school fights, nothing seems to make sense. When an unexpected encounter with Darien Raventhorn causes worlds to collide it exposes the truth about Justice’s real identity. To avenge a family death, Justice must embrace her birthright, and slay a demon before all Hell breaks loose. Linda Bloodworth loves chips, like really, ketchup to be exact. Ketchup chips are only found in Canada. Lucky for Linda she lives in Toronto with her husband and three fur babies. In between writing, debating for hours about the Oxford comma, and the misunderstood semi colon; Linda enjoys camping and getting away from the city on day trips. Want to stay in touch? Visit Linda on her website here, or Facebook, Twitter, Instagram, and Google+! Feel free to subscribe to her newsletter here. I’m curious… Do you read young adult stories? What about paranormal fantasies? Comment down below what your favourite genre is to read! By far my favorite genres, whether they’re YA,NA or Adult(I enjoy reading all 3;a good book is a good book ya know? ), are fantasy, UF and PNR. And as a fan of fantasy,I hope it’s ok for me to add that one of the reasons I really enjoyed A Raven’s Touch is not only the fact that a wide range of fantasy species are represented but that they all got along. Most fantasy stories have the different groups hating, fighting and or enslaving the other but here, even when there was a disagreement between them, their mutual respect for eachother prevailed and they worked together for the common good. All the relationships, from parental &friendships to the romantic, in my opinion, was very well written& felt genuine/relatable. I really hope fantasy lovers give this book a chance! Absolutely. I’m not all that picky when it comes to genre. I honestly read a little bit of everything. As long as the story can keep my interest and is steadily moving forward, then I’m good with it. I obviously love contemporary romance, but I personally tend to favour PNR/UF, whether it be YA/NA or Adult. I just love getting inside an author’s head and visiting a new world! So glad you enjoyed Linda’s book!